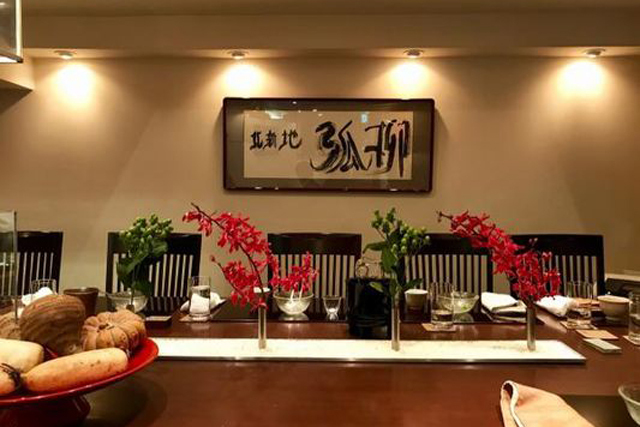 Koryu is a restaurant in Osaka serving Japanese cuisine and has been listed in the Michelin Guide as 3 Michelin Stars every year since 2011. Koryu procures ingredients through suppliers and obtains ingredients not normally available in the market. 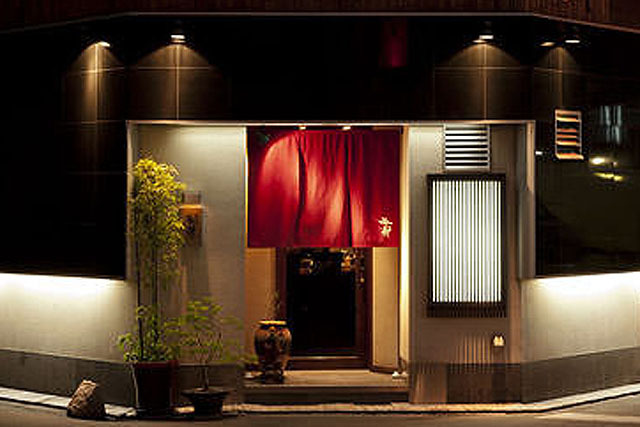 The water used for the food and drinks is all-natural spring water obtained from Mino in Osaka. 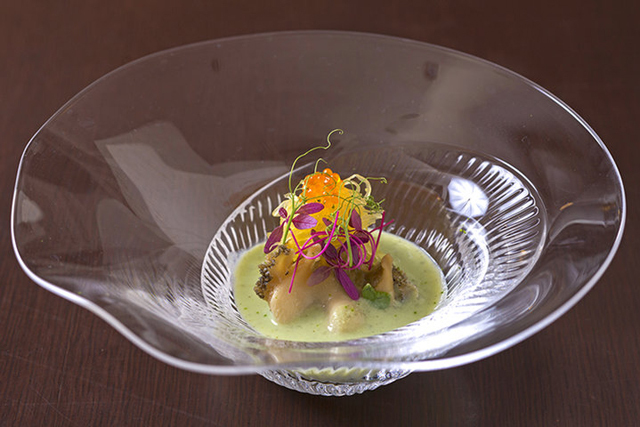 The courses served are ones gourmets love, “omakase courses” and left up to the chef to decide the menu. 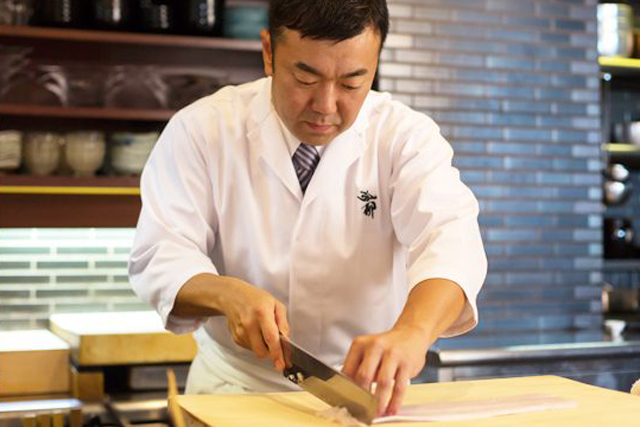 The chef is dedicated to giving guests a unique experience every time, and the creative menu features seafood from the coast of Osaka, Naniwa vegetables, and fresh sashimi. 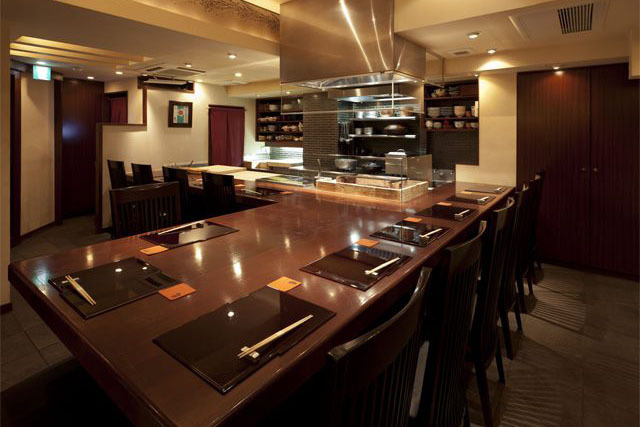 The 12-seat flat counter surrounds the cooking area where guests can enjoy watching the chefs at work as they prepare the meals in front of them. Reservations are hard to come by, but there is a chance of getting a reservation at 9 p.m.
※Reseservations only accepted for 4 or more guests, and reservations required 2 or more days in advance. A 6 minutes by walk from Kitashinchi Station on the JR Tozai line. A 6 minute walk from Watanabebashi Station on the Keihan line. 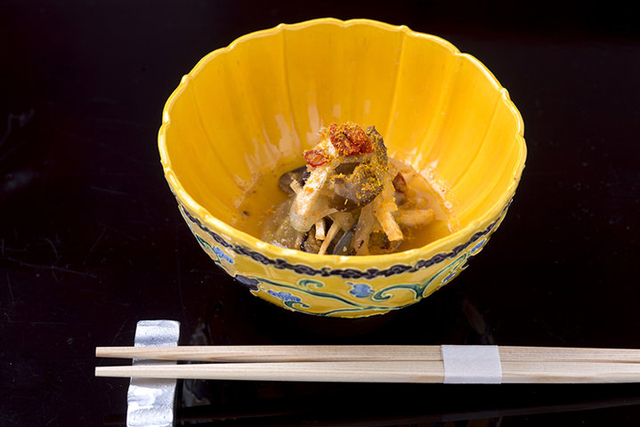 ※Restaurant service charge and tax included in the above price. 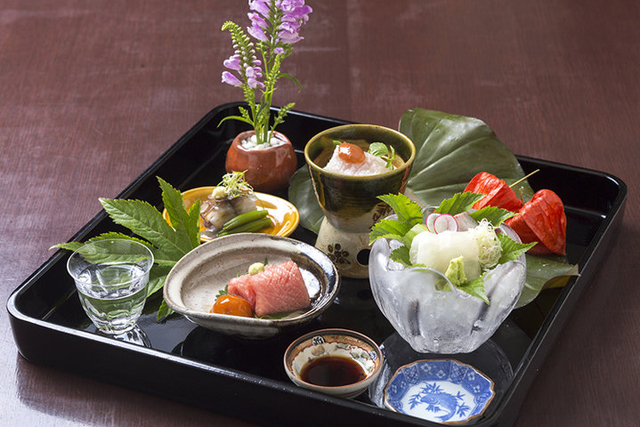 ※For the special seasonal omakase course, the course changes monthly. 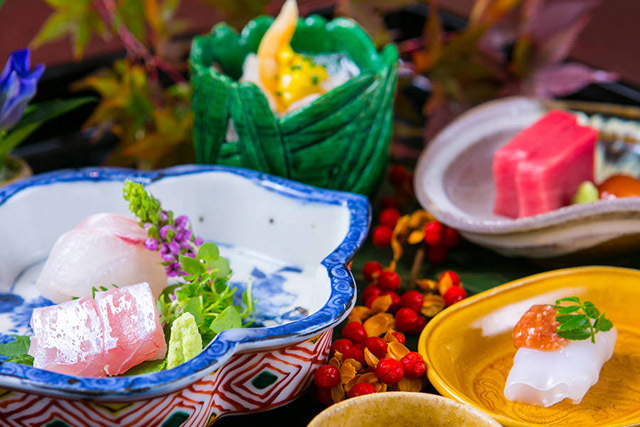 If you select the special seasonal omakase course, we will let you know about the exact price of the course.